Jam Audio is a company that specialise in affordable headphones and speakers. Their philosophy is to bring innovation and technology in accessible consumer products backed with a warranty. As you may know, if you or people you love are into music, some branded headphones are pricey and can be well over £100 or even more. Jam Audio headphones are priced at £59.99, £39.99 or £29.99 depending on design, which I feel is very realistic for well designed headphones with great sound quality. I was given two sets to review which were the Jam Transit Bluetooth Headphones and the Jam Fusion Buds Bluetooth Headphones. 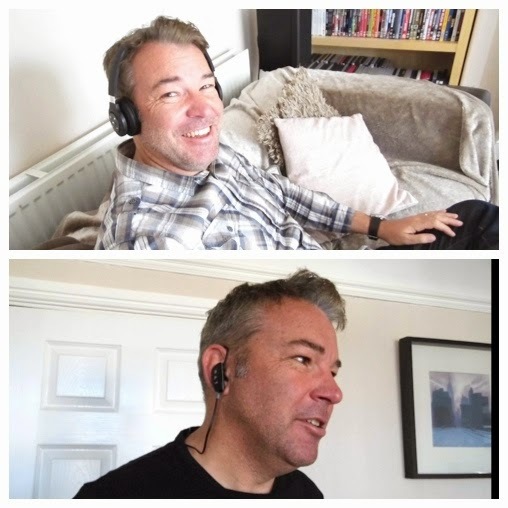 The Jam Transit headphones are classic 'over the head', headphones, perfect for when you want to block sound out, whilst the Jam Fusion headphones are 'in your ear" style of headphones suitable for walking, and exercising amongst other things. My husband is into music and also loves to jog so I gave him the task of comparing and reviewing both sets of headphones. 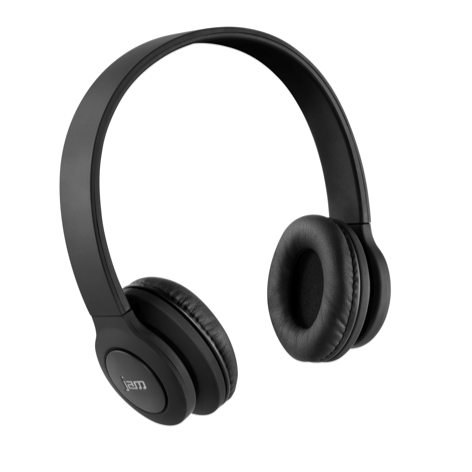 The Jam Transit Bluetooth Headphones are a real comfortable, wireless, over the head style of headphones. The top of the headphones is made from a smooth plastic which is adjustable to fit and the padded earphone section makes them super comfortable. The ear pieces can move slightly too for a superior fit. To adjust the sound on the headphones the buttons are on the ear piece, and are simple to use. My husband thought that these headphones were particularly good at blocking out peripheral sound for example if you want to listen to music when someone else wants to watch TV, these are just the thing. They are easy to set up to connect to a bluetooth device in a manner of seconds. The build quality of these headphones are superb. They feel like a solid and quality item and we both felt they would last a long time. Many headphones break at the plug socket but because these are wireless you don't have that issue. Charging is easy via a USB connection and simple to do via a laptop or USB connection in your car. The sound has a bass quality which is pleasing and we would both say they are fabulous to use as an everyday headphone set. For the price you pay these are a steal. These in ear bluetooth headphones are great when you don't want to look conspicuous with the over the head type of headphones. I can imagine them being popular with those that walk or catch public transport to work and for those that like wearing headphones whilst jogging or running. 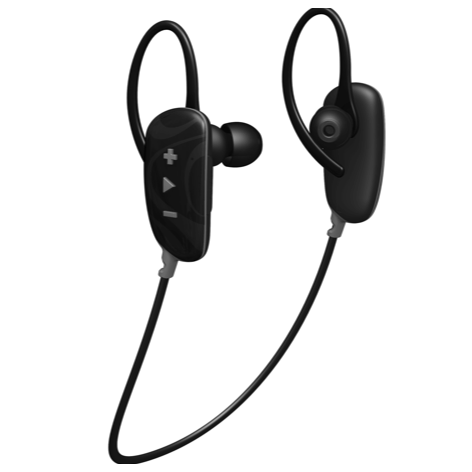 They are easy to use - the control button is on one ear piece and they are simple to connect via bluetooth. My husband is a jogger so he tested these out on his run over the local sand dunes. Often he finds headphones don't stay in the ears and get dislodged whilst running. These earbud headphones were great to stay in place at all times. They are super discreet headphone but they did not block out the peripheral sound like the Jam Transit Bluetooth Headphones, so these would be a better option if that concerns you. Another thing is that although they are wireless to 30 meters on the packaging, my husband said they didn't really last 30 meters. The sound quality again has a great tone and bass sounds are natural. Charging is easy via a USB connection and simple to do. These headphones are super portable to carry around, and I feel it would be a great idea if they made a carry case to use with the headphones. It says these are sweat resistant but they aren't water proof so that is something to bear in mind if you want to use them for walking, jogging or running in all weathers. To sum up if you want affordable sets of headphones with great sound quality you can't really go wrong with either sets from Jam Audio. These would make a great gift for the music lovers in your family or a nice treat for yourself. You can buy Jam Audio Wireless headphones at Amazon, Boots, Currys, and other good retailers. Tell me, what do you think of these headphones? Do you think they would make a great gift for those into music? These are great headphones for a great price I feel. My son's just got given a pair from the grandparents. No idea if they're any good though…time will tell! Are they the Jam Audio ones? The wireless aspect is very useful. I think I need to add some of the bud ones to my Christmas list. I waste so much money on buying cheap ones, I should just buy a decent pair and be done with it! That's a very good idea Michelle. I think they would Michelle unless they were very young. The teen needs headphones and these look ideal - refuse to pay silly money!! These would be perfect for your teen Kara. Those second pair really stay in your ears. Great wireless headphones of the money ! I agree Claire. Why spend all the money when you can get a pair this affordable and of such good quality too?